If you read our Ventilation News and Views newsletter you might have noticed our bargain basement listings. We put some pretty extraordinary stuff there are clearance prices. Check out the Ghost - perfect for this hot summer - or the Panasonic FV01WS1 through-wall fans. Bargain Basement If you don't get our newsletter, send us your email address and we'll put you on the list! Put me on the list, please. An updated version of this fundamental handbook and guide to residential ventilation systems written by Heyoka Solutions Chief Investigator, Paul H. Raymer. It is designed as a practical guide to help select, install, and maintain residential ventilation systems. A litte bit about who we are. Welcome to the Web site for Heyoka Solutions, LLC a designer and purveyor of ventilation systems, residential fans, indoor air quality controls, air quality sensors. Heyoka Solutions products were designed by those brilliant minds that brought you the SuperFan, the HV1000, the HV1600, and the Ghost whole house coolers. Heyoka Solutions also sells fan and accessory products made by Fantech, along with Atco ducting, Primex and Builders Best hoods, and Fantech and SmartExhaust controls, ventilation products designed to ventilate bathrooms in homes and commercial applications. 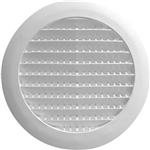 Heyoka Solutions also sells Fantech in-line dryer booster exhaust fans. We also sell some unique grilles and motorized, zoning dampers. Heyoka also sells AirTest environmental sensors. Heyoka is dedicated to improving the air quality in the world we live in, to arrive at unique solutions to difficult ventilation problems. We provide BPI training and proctoring of certification. Our Chief Investigator, Paul Raymer, is the author of the "Residential Ventilation Handbook" and is an ANSI/IREC Assessor and Master Trainer. Sometimes people misunderstand our name and call us hey oka, hayoka, heyoga, heyoke or ayoka. We honor and respect the native American roots of our name. Thank you for visiting Heyoka Solutions.